Fast Mold Removal.com, the distributor of the nation’s leading mold stain remover, MMR, is pleased to announce they have Shockwave available for immediate shipping. As cleanout and rebuilding efforts in Hurricane Sandy devastated areas continues, many property owners and restoration contractors are discovering mold damage in many of these properties. Exposure to mold can cause allergies, trigger asthma attacks in susceptible individuals, and even result in fungal infections in people with a weakened immune system. When mold is found, many of these property owners and restoration contractors turn to disinfectants designed for these types of situations. One of the most popular products is Shockwave. It is a concentrated formula that will disinfect hard, nonporous surfaces, and also sanitizes porous and semi-porous surfaces. 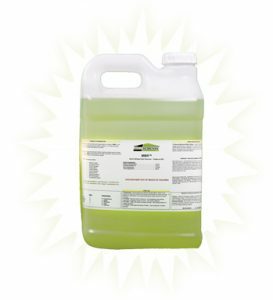 Shockwave is an EPA-registered, quaternary ammonium chloride cleaner, disinfectant, and sanitizer designed for use on various surfaces subject to microbial contamination. Unfortunately, due to the demand for this product following the massive scale of destruction and damage along the East Coast, some restoration contractors and property owners are having difficulty getting the product in a timely manner. Fast Mold Removal.com, the company behind MMR mold stain remover, is pleased to have Shockwave in stock and ready to ship. “We have Shockwave in the warehouse available for same-day shipping to Hurricane Sandy victims,” stated Chris Heller with Fast Mold Removal.com. 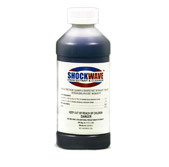 “Shockwave has been found to work well with MMR mold stain remover so we have been offering the product for some time and are pleased to be able to immediately supply either of these products to Hurricane Sandy victims. For people facing smaller projects, we also have the benefit of offering to break cases so that the customer does not have to purchase a whole case at a time. In fact, it is available in as small of a container as 10 ounces.” To learn more about Shockwave, MMR mold stain remover, and how to safely eliminate mold problems, please visit http://www.FastMoldRemoval.com, email mmr@moldsolutionsintl.com or call 708-441-7982. About FastMoldRemoval.com & Mold Solutions Mold Solutions, owner of Fast Mold Removal.com, is a Frankfort, IL, based company. 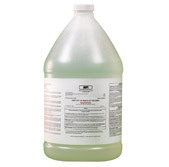 They manufacture MMR mold stain remover, the world’s premier mold stain remover. MMR is a commercial grade mold and mildew stain remover formulated to immediately eliminate mold and mildew stains present on wood and other hard surfaces. MMR penetrates soiled areas almost instantly, leaving surfaces clean and free from mold stains. The biodegradable product is manufactured weekly in the United States and shipped on demand to contractors, home owners, and building occupants. Through Fast Mold Removal.com, Mold Solutions distributes MMR, personal protective equipment, spray equipment and other mold remediation products.